The universe is not spinning or stretched in any particular direction, according to the most stringent test yet. Looking out into the night sky, we see a clumpy universe: planets orbit stars in solar systems and stars are grouped into galaxies, which in turn form enormous galaxy clusters. But cosmologists assume this effect is only local: that if we look on sufficiently large scales, the universe is actually uniform. The vast majority of calculations made about our universe start with this assumption: that the universe is broadly the same, whatever your position and in whichever direction you look. If, however, the universe was stretching preferentially in one direction, or spinning about an axis in a similar way to the Earth rotating, this fundamental assumption, and all the calculations that hinge on it, would be wrong. 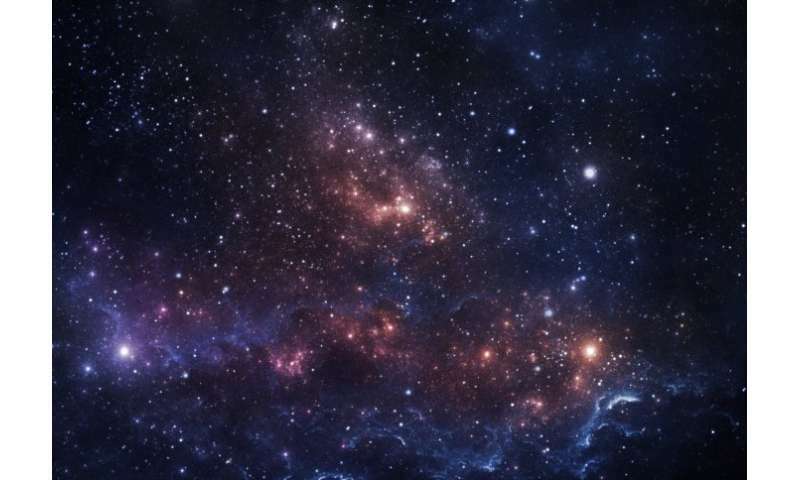 Now, scientists from University College London and Imperial College London have put this assumption through its most stringent test yet and found only a 1 in 121,000 chance that the universe is not the same in all directions. To do this, they used maps of the cosmic microwave background (CMB) radiation: the oldest light in the universe created shortly after the Big Bang. The maps were produced using measurements of the CMB taken between 2009 and 2013 by the European Space Agency’s Planck satellite, providing a picture of the intensity and, for the first time, polarisation (in essence, the orientation) of the CMB across the whole sky. Previously, scientists had looked for patterns in the CMB map that might hint at a rotating universe. The new study considered the widest possible range of universes with preferred directions or spins and determined what patterns these would create in the CMB. A universe spinning about an axis, for example, would create spiral patterns, whereas a universe expanding at different speeds along different axes would create elongated hot and cold spots. Four potential CMB patterns for universes with direction. No image credit. Dr Stephen Feeney, from the Department of Physics at Imperial, worked with a team led by Daniela Saadeh at University College London to search for these patterns in the observed CMB. The results, published today in the journal Physical Review Letters, show that none were a match, and that the universe is most likely directionless. Dr Feeney said: “This work is important because it tests one of the fundamental assumptions on which almost all cosmological calculations are based: that the universe is the same in every direction. If this assumption is wrong, and our universe spins or stretches in one direction more than another, we’d have to rethink our basic picture of the universe.